Costumes aren't just for Halloween. We have cool dress up costumes and accessories for every occasion. Valentine's Day, St. Patrick's Day, Easter, Fourth of July, you name it...we've got it! Save big on 4th of July items from HalloweenCostumes.com! Save big on children's dress up costumes! Shop now and save BIG on historical costumes and accessories. Up to 90% off kids costumes. FREE SHIPPING on your order with Min $50 purchase. Soft, floppy Seuss-style hat. Foam-lined fabric with reinforced rim for a nice, crisp brim. Latex rubber face mask with attached baseball cap. Cap design may vary from photo. Does not include glasses recommend 29027 Nerd Glasses. Get notified by email about coupons and special deals as soon as they come in! Congratulations! 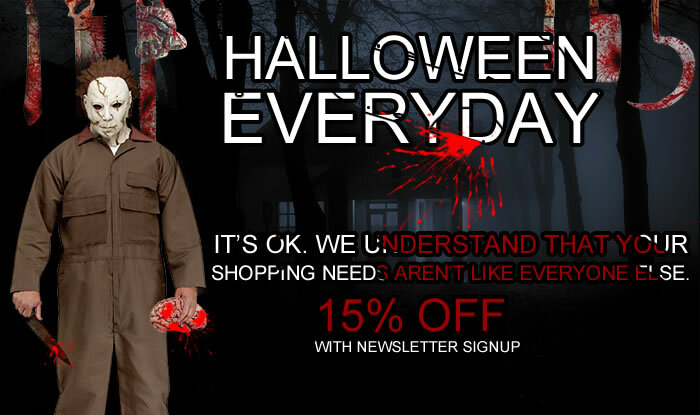 You should now receive emails about coupons and special deals from halloweenmachine.net as soon as they come in. If you don`t see any emails from us, check your junk mail folder...just in case.